J31 renamed FC - 31. Dude, what are you doing? ? Beautiful pictures, and the J-31 ....FC31 P will Pakistan may buy too. I think engine is the main issue with respect to FC-31 (J-31) of Russia, under powered. The American spy looks taking pictures isn't he? 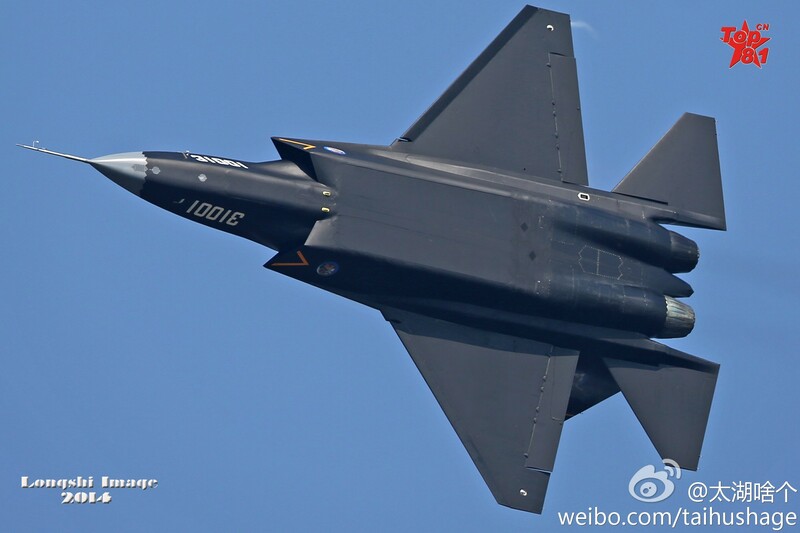 The engine is China's WS-13 ..
http://edition.cnn.c...ghter-analysis/ Just how good is China's new 'stealth' fighter? Zhuhai, Guangdong Province (CNN) -- Zhuhai's Air Show has always been a venue for surprises, usually first-time showings of advanced Chinese military hardware.China's pathologically secretive defense industry normally shows nothing official of its weapons programs to anyone, which makes the biennial Zhuhai expo the only chance to see what its weapons makers have been up to. Much has been written in the past few years about China's defense sector developing increasingly more capable weapons systems that approach the capability of their U.S. and European analogues. Some Chinese weapons, such as a full range of anti-ship and air-to-surface missiles, seem to show that its military -- the People's Liberation Army (PLA) -- is equipped to challenge U.S. Navy carrier battle groups and potentially deny the U.S. the ability to operate in certain areas of the Pacific. But questions remain about how battle-ready the PLA is and whether it can function in a modern, network-centric warfare environment. Today's battlefield operates on the premise that autonomy should be pushed down to the lowest level -- even down to the man in the field -- because time is of the essence. Getting inside of the enemy's "decision loop" is the key to victory. But, giving individual units the ability to make their own tactical decisions without their orders being delivered from several layers up the chain of command is an anathema to the "control uber alles" mentality of the Chinese leadership. 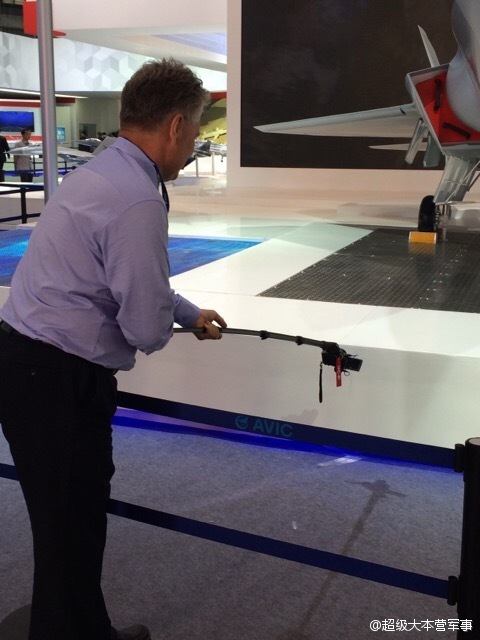 In terms of new weapons, the number one attraction at Zhuhai this year was the new Shenyang FC-31 fighter. It has generated a good deal of excitement as it's the first time a new Chinese military aircraft has been unveiled while still in the early stages of development -- we usually have to wait until after they start serving in the PLA's air force. The FC-31 is designed to look like a stealth fighter aircraft in the class of the American Lockheed Martin F-35 Joint Strike Fighter. It is also the second, but smaller, stealth-type design to be developed by China. The FC-31's "Big Brother," the Chengdu J-20, first flew in January 2011 but has been shrouded in secrecy ever since. The FC-31 "looks" stealthy and its shape mimics that of the F-35 in some respects. But it is impossible to tell just how successful the Shenyang design team has been in developing an aircraft with a low radar cross section without knowing the materials used, the placement of the engines inside the aircraft, and how well the heat signature from the engines has been suppressed by the design of the exhaust nozzle section. Like other PLAAF fighter aircraft, the FC-31 is powered by Russian-made jet engines, in this case two Klimov RD-93 models, which are a specialized variant of the same engine that powers the famous Mikoyan "MiG-29." There have been rumors that a team of renegade designers from the Mikoyan bureau in Moscow assisted Shenyang in the development of the aircraft, but a senior MiG official stated "no, as far as I know they [the Chinese] completed this design themselves, and they seem to have done a good job on their own." The MiG official may be correct. An aircraft of this type designed with Russian assistance would probably perform better. The FC-31's flight routine shows that it "bleeds" too much energy -- so when it enters into a turn it begins to lose altitude. Even during straight and level flight the pilot has to engage the engine's afterburners in order to keep the aircraft from sinking to a lower altitude. These are defects in the aircraft's aerodynamic design that a Russian design team would not have made. So, why has the PLAAF chosen to exhibit an aircraft that is either overweight, underpowered or both? It could be an oblique signal to Washington timed to coincide with President Barack Obama's visit to Beijing for the APEC summit. The underlying message: "China is stronger than you think." 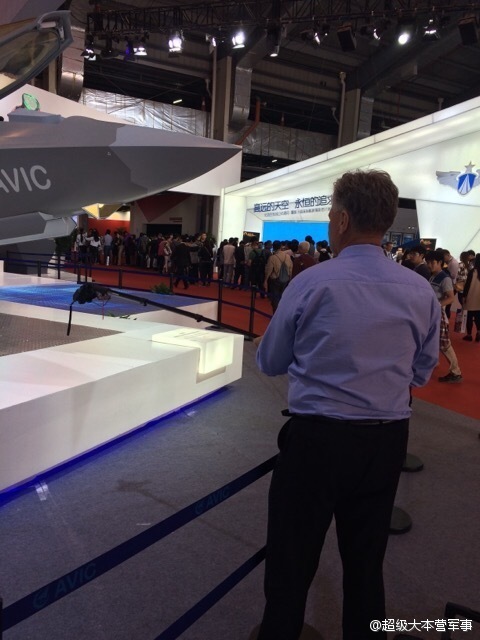 This would not be the first such example of China trying to use its defense industry to flex its muscles. In January 2011, when the J-20 first flew, then-U.S. Defense Secretary Robert Gates was in Beijing for an official visit. His read was that the timing of the two events was in no way coincidental.Unfortunately for the PLA, the gesture falls flat. Many would have been more impressed by the FC-31 in photos posted on Chinese websites than after seeing it actually fly at the air show. Looks can be deceiving, as they say. This article is very negative, FC31 not that bad. I only put the article up there so that some light could be shed on the aircraft's weaknesses' including the notion that its underweight and underpowered. Yes but its going to take a wihle before the WS-13 is ready for integration. 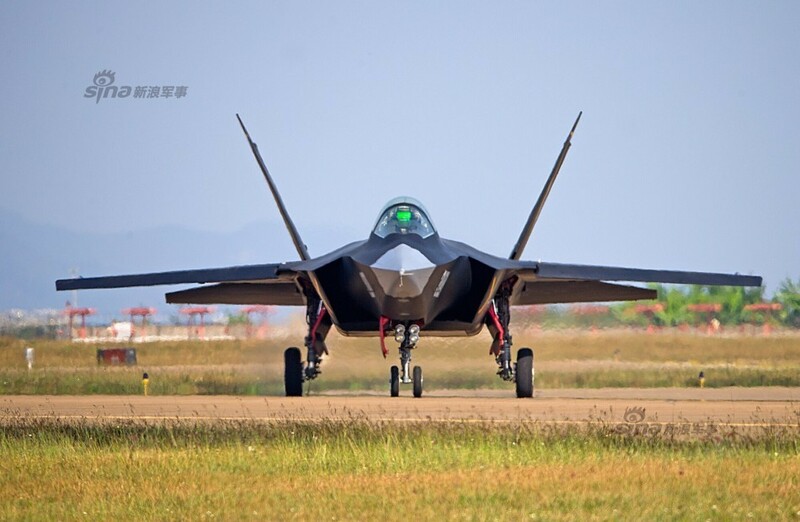 China's newly unveiled J-31 stealth fighter has received bad reviews at home and abroad after making its first public demonstration flight during the biennial Zhuhai Airshow in the southern province of Guangdong. 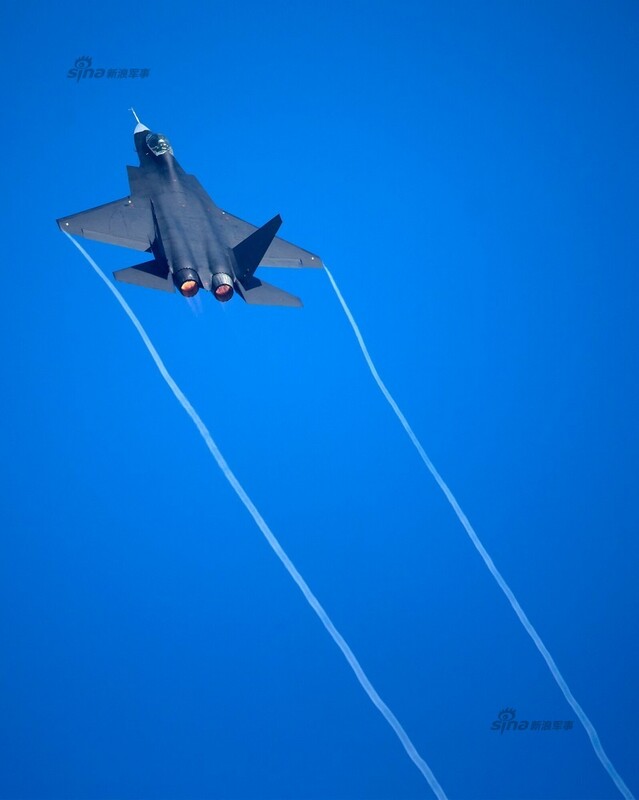 The criticism of J-31, China's second fifth-generation fighter jet, mainly stems from the dark exhaust emitting from the jet's engine, which indicates the engine's poor efficiency in burning fuel. There are two types of engines used on the J-31 jets — the RD-93 used by Russia's MiG-29 fighters will be fitted to those intended for foreign clients, while the ones deployed by the People's Liberation Army (PLA) will have the WS-13 engine developed from the RD-93. 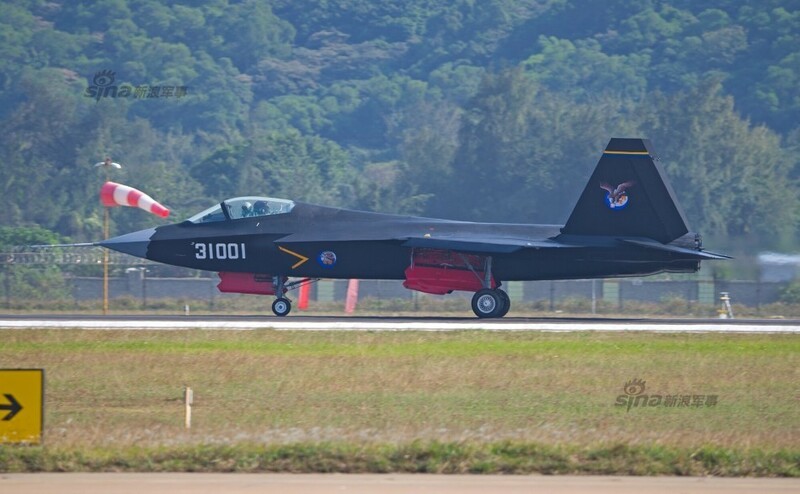 It is unclear which type of engine the J-31 on display in Zhuhai used. Meanwhile, PLA Navy Rear Admiral Zhang Zhaozhong said in a speech in Xiamen on Nov. 17 that China's reverse engineering still has its limitations, and that it will take the country another few years to achieve a breakthrough in developing its own engines. Zhang said the development of a jet engine involves mechanics and digital control, and the former is far more easy to master than the latter. "This part is too difficult and not something that can be achieved successly in a short time," he said. Zhang also believes that the J-31 jet is too heavy. Meanwhile, Teal Group analyst Richard Aboulafia said prospects for the J-31 jet's export market are not as positive as many have described. 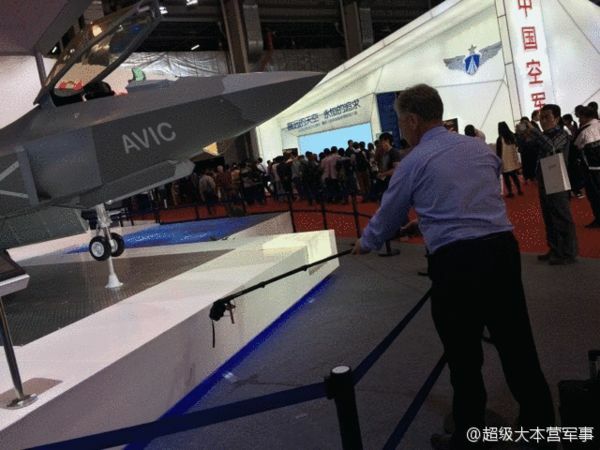 Aboulafia said countries buying Chinese military hardware are mainly poor, with Pakistan the largest customer, and China may have to find new clients for the higher-end fifth-generation fighters. These new clients are most likely China's neighbors, but these countries will have their about Beijing given the tensions existing between them, Aboulafia added. Moreover, the fifth-generation jets may have already come too late, since the US Air Force and Navy have both begun plans to develop their next-generation fighters to replace the F-22 and F/A-18E/F, respectively. China is also developing 'sixth generation' fighter. And the United States synchronization. .
why china would export these jets? These are not migs.............or j10s that sending them out with different configuration will change the nature of the jet. The only important thing about these 5th gen. jets is stealth. They lose that advantage, and they are 4th gen planes with less amo onboard. If china is exporting them then only thing that can justify that is possibility that they have a much better one to replace it and they dont care if this one reveals its secret. ISLAMABAD: Pakistan plans to buy the fourth generation stealth fighter aircraft from China to boost its defence capability, according to a media report. The matter was being discussed with Chinese authorities, minister for defence production Rana Tanveer Hussain was quoted as saying by the Dawn newspaper. “It is for the first time that a senior government functionary has confirmed talks with China over purchase of the longer-range stealth aircraft — an issue that has been a subject of speculation in defence circles since the 10th edition of the Zhuhai Air Show (China) held earlier this month, when the aircraft was unveiled,” the paper reported. The Jane’s Defence Weekly also quoted an unnamed Pakistani official as saying that the Pakistan Air Force was in talks with China to buy 30 to 40 of the Shenyang FC-31 fighters.